/ Archive by Category "Congo (Dem. 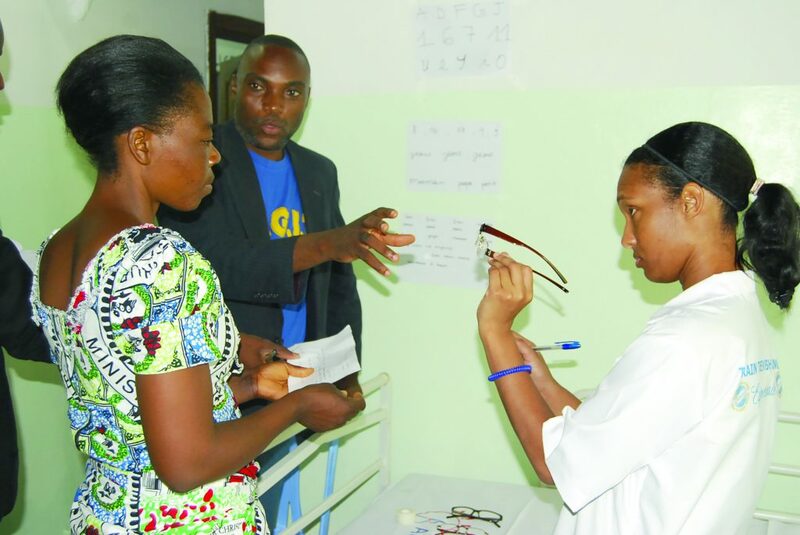 Rep. of Congo)"
Free eyeglasses bring spiritual eyesight to a high-ranking military general. The man’s wife nodded. When the general spoke, everyone listened. This is why I will not allow my children to go to these churches, he added to himself. For they would become corrupted too. The general proceeded with his day’s agenda. Meanwhile, his wife ventured into town. The general’s wife learned that a group called “Train Them 2 Fish,” was giving free medical care to the public. She decided to go through the eye program. When his wife returned home, something different caught his glance. “The glasses you are wearing are the best you can buy here. They are very expensive. So, you must explain yourself,” the general insisted. “I cannot believe that they were given to you for free. They are very expensive,” he repeated. The following day, the general’s daughter enrolled in the eye program. She also was given a pair of glasses. When the astonished general arrived at the corner, he came just in time for the devotional. When the program began, he approached the staff. “I want to see the coordinator of this program,” he said. The man in front of him shifted nervously. “I’m not sure…” he began. The military general was led to Thomas Ongasa. “Who are you?” the general asked. “I am a pastor,” Ongasa replied. Pastor Ongasa offered to send a Bible worker to visit with the general. When the Bible worker arrived, he marveled at the building’s security – for no one was allowed to step inside without permission. But two pairs of eyeglasses had been the key to his entry, and genuine Christianity had softened the heart of a once skeptical man. Pastor Thomas Ongasa, formerly a conference president in the Democratic Republic of Congo, founded Train Them 2 Fish in answer to God’s call to equip young people to spread the gospel in his country. Pray for Pastor Ongasa as he seeks to minister to the high and the low, the rich and the poor. Pray for this general of the Congolese army. Or click here to give online. An unlikely candidate becomes a successful soul winner. Nobody in Israel would have agreed with Jesus’ decision to recruit fishermen from the middle of nowhere to establish a worldwide movement. Likewise, nobody considered Jean Claude Ngandu, a young man from Kinshasa, Congo, as a candidate for God’s work. As a youth, Ngandu had made some mistakes, and many people no longer trusted him. Still, Ngandu heard God calling and in 2016, he asked permission from his pastor to attend the 6-week Bible Worker’s training program offered by Train Them 2 Fish. Going back to his local church, he offered his help as a Bible worker—but still nobody would trust him except his pastor, who encouraged him not to give up. Knowing of his reputation, we told Ngandu we would consider the request. When he insisted, we called his local pastor for a recommendation. The pastor encouraged us to give Ngandu the chance. 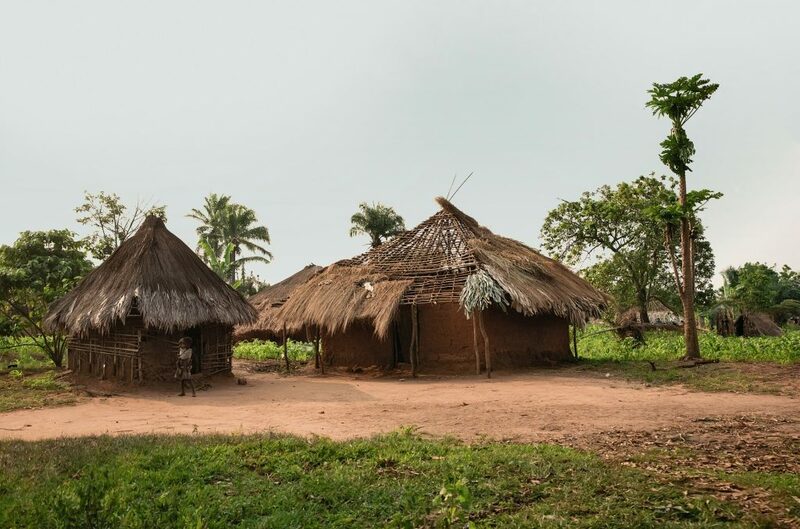 At the end of April, Ngandu was assigned as a church planter to Tshela, a small town 600 kilometers west of Kinshasa, far from the interference of suspicious acquaintances. Taking his six months’ seed fund, Ngandu set off, excited to begin his work. As soon he arrived at Tshela, however, Ngandu faced two major challenges: His wife got sick, and thieves pickpocketed his money. Even so, Ngandu did not give up. Instead, he started building relationships in the community and soon began Bible studies with four young people. To his surprise, he was quickly invited to sign an agreement with the owner of a local radio station to preach the Adventist message every morning and evening. Accepting the offer, Ngandu sent us an appeal for books and sermons to help him create content for the radio program. As the radio aired Ngandu’s messages, a Pentecostal preacher was touched and decided to look up Ngandu to learn more about the Adventist message. The two became friends, and for one month they studied the Bible every day at the Pentecostal pastor’s home. At the end of their studies, the pastor accepted the Three Angels’ Messages and asked to be baptized along with his wife and 14 people from his church! After their baptism, the new believers decided they would no longer send their children to non-Adventist schools, which require Sabbath attendance. Praying over the matter, they asked permission from the chief of the community to start a school where their children would be free to keep the Sabbath. The chief granted permission. Praising God, the Tshela believers began collecting funds to rent a building. Ngandu spoke about the project on the air, and soon 12 young adults presented themselves at the school. They said they had been listening to the radio sermons and that they wanted to join the new church and serve as volunteer teachers at the school. On Monday, September 12, 2018, the school opened its doors with 450 students. 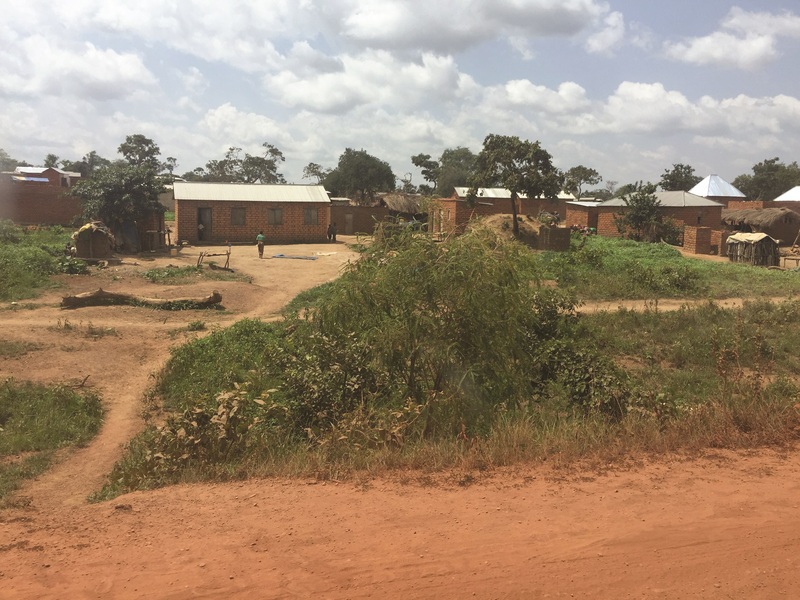 In just four months, God had used Ngandu to establish a congregation with 16 baptized members, 19 people awaiting baptism, and a large primary and secondary school. Pastor Anderson Ilundu, president of the SDA mission for that region, said, “It is nothing else but a miracle from nowhere.” Soon Pastor Ilundu will visit Tshela to conduct a baptism and welcome the new church and school into the worldwide family of the Seventh-day Adventist Church! Pastor Thomas Ongasa, formerly a conference president in the Congo, founded Train Them 2 Fish in answer to God’s call to equip young people to spread the gospel in his country. Pray for the Tshela congregation as they look for property to build a school and a church. Thank You. In the first three quarters of 2018, your donations to MPI’s programs in the Congo totaled just over $15,000. These funds supported workers and evangelism, built churches, and provided literature to needy souls! A young boy introduces his mother to Jesus. “In Scandinavia also the Advent message was proclaimed. . . . But the clergy of the state church opposed the movement, and through their influence some who preached the message were thrown into prison. In many places where the preachers of the Lord’s soon coming were thus silenced, God was pleased to send the message, in a miraculous manner, through little children. As they were under age, the law of the State could not restrain them, and they were permitted to speak unmolested.” Great Controversy, 366. In Israel, also, Jesus used children to proclaim His message. After He had driven the money changers and salesmen out of the temple, it was the children who praised Him for the wonderful works they saw. Jesus commended them with the Scripture: “Out of the mouth of babes and sucklings Thou hast perfected praise.” Matthew 21:12–16. God is still using children to invite people into His Kingdom. 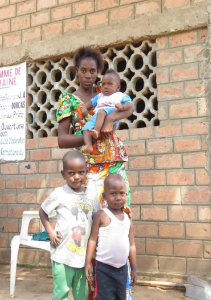 In Congo, God used a small boy to introduce his mother and family to Jesus. Luyindula, a Bible worker in Congo, has a mission to reach people from the Black Community religion. Adherents to the Black Community believe that Jesus came to save white people alone. However, even with this sad belief to overturn, Luyindula has planted a new congregation in that community! More than 40 people have accepted Jesus and 25 of them have been baptized. Luyindula has a genius outreach method: He invites children to a special outdoor program just for them. Then, for two weeks, Luyindula shares the gospel with these children! The next day, the mother went to find out what her boys were talking about. As she saw illustrations of Jesus in the picture rolls Luyindula was using, she was so happy to learn who He really is. Day after day, she kept attending the program with her boys. At the end of the 2-week program, she decided that she wanted to join this church that had shown her that Jesus came to save her, not just the white people! Since then, Abel’s mother has been studying the Bible with a Bible worker. One by one, she is learning the fundamental beliefs of the Seventh-day Adventist Church in preparation for baptism. When Abel, his brothers and their parents moved to Kikwit, one of the major cities east of Kinshasa, they began attending the Kikwit III SDA Church every Sabbath. At the church, little Abel asked a Bible worker to visit his father and start Bible studies with him. “I would be happy to go to Heaven with my parents and my two younger brothers,” Abel said. Abel first saw Jesus through the picture rolls, and it touched his little heart so much that he invited his whole family to come learn about Jesus. The Bible workers in Congo greatly need more picture rolls so they can enlist more kids like Abel to become ambassadors for Christ in their families and neighborhood. Then, like the children in Scandinavia and Israel, these little ones can bring the message of salvation to those who otherwise may not have heard! Author: Pastor Thomas Ongasa works in the country of Democratic Republic of Congo. Pastor Ongasa was formerly the president of the local conference of Seventh-day Adventists. He believed that God was calling him to start a training school to equip young people to spread the gospel in his country. Pray that Luyindula can reach more people with the gospel in his community. A woman’s simple faith leads her to learn more about Jesus. The Democratic Republic of Congo is the largest French-speaking country in the world; the estimated population was over 85 million in 2015. Over 87 percent of Congolese live on less than $1 a day. Many families are poverty stricken and cannot afford to eat a well-balanced diet. They do not have access to good health care and are compelled by circumstances to purchase medications on the streets without prescriptions or even a diagnosis. Others turn to traditional healers or witchcraft practices for solutions to their health problems. Seeing the need, Train Them 2 Fish has aspired to reach people through health ministry, using free medical programs to impact communities. This has become a powerful way to share God’s love in poor areas where the Congolese are unable to afford or access medical care. “The truth expressed in living, unselfish deeds is the strongest argument for Christianity… The knowledge of the art of relieving suffering humanity is the opening of doors without number, where the truth can find a lodgment in the heart, and souls be saved unto life – eternal life.” Counsels on Health, 537. Once a month, Train Them 2 Fish sends a medical team and several Bible workers to a new community for medical outreach, generally lasting two to six days. During the outreach, people gather every morning to hear a devotional, and then see about getting their medical needs met. The various areas of health needs are often in gynecology, pediatrics, general medicine, eye and dental care. Our workers discuss disease prevention and the importance of proper hygiene. They often provide treatment for malaria. 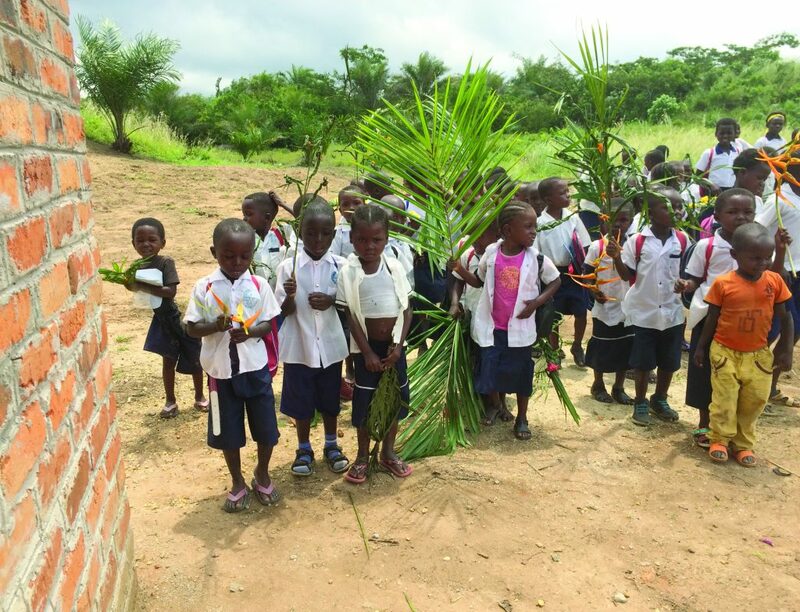 Two new congregations have been planted in the Kinshasa area as a result of this work. One day, Fideli’s daughter came home with flyers advertising that a group of people were coming to their Kimvula community to offer free medical services. “Do these people pray?” Fideli asked her daughter. “Yes, they do,” her daughter nodded. Fideli was born and raised in a traditional African religion. She had no idea what Jesus would look like, but she knew that Train Them 2 Fish matched the only description of Christ that she knew—healing the sick and praying for people. When she arrived at the medical outreach clinic for the first time, she noticed a member of the team speaking to a group of people and praying. In time, he directed her to the physicians, and the elderly woman was kindly welcomed inside. “What can I do to be prepared to be taken up to heaven with Jesus?” she asked. “Give your life to Jesus, listen to His Word, and be baptized,” the pastor said. “I will,” came her simple reply. Fideli was baptized the following Sabbath, together with 18 others. Two weeks later, she passed away in the blessed hope of the second coming. 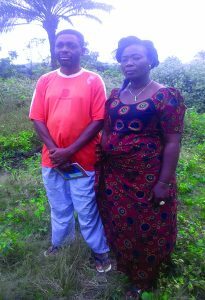 Pray for the work Pastor Ongasa and his team of workers are doing in the DRC. Pray for the health work that is being conducted. Train Them 2 Fish offers hope in the face of high child mortality rates. The lusty cry of a newborn pierces the night as new life is ushered into the world. A young mother smiles to see her baby for the first time. “The child is strong,” the midwife nods. Being born is a miracle, but in the Democratic Republic of Congo, living to celebrate your seventh birthday is another. According to the United Nations Children’s Fund (UNICEF), there are 13 maternal deaths for every 1,000 infant deliveries in Congo. HIV and AIDS persist in generally 1.3 percent of 15 to 45-year-olds, with a higher rate of 1.9 percent in urban communities. Lack of sufficient or accessible health care places adults at risk for contracting otherwise preventable or treatable illness and disease. Malaria continues to be prevalent. 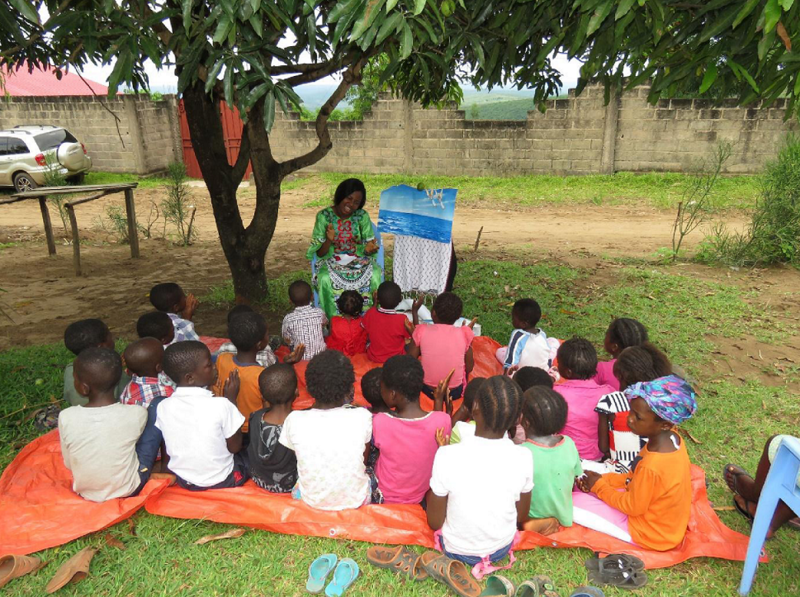 On average, 400 people die daily from malaria in Congo, and half of these are children under the age of seven. Child mortality rates are staggering. One out of seven children will die before the age of five. Malnutrition and micronutrient deficiencies are responsible for nearly half of these deaths. Nearly a quarter of the children in this vast country are underweight, and many are not vaccinated for common childhood diseases. But not only the children need special care, old people need special nursing healthcare like http://www.a2zvideos.net/ to attend their needs. Although Congo’s land is rich in natural resources, the majority of families live in poverty. Less than half of the population can obtain a clean source of drinking water, and less than one third have access to adequate sanitation facilities. Many parents struggle just to keep food on the table, so paying school expenses for their children is impossible. As school enrollment declines, child labor rates climb. Children as young as five years old are working. The crisis facing Congo’s children has not gone unnoticed. Train Them 2 Fish received funding from UNICEF to secure and distribute school supplies to 8,250 children in 66 different schools. We also provided teacher training to 327 individuals, and peace building education to 1,576 children under the age of 15. Although UNICEF and its partners have enrolled 110,000 children in projects for the orphaned and vulnerable, there are hundreds of thousands more in need. Our responsibility is clear in the Scripture. “Pure religion and undefiled before God and the Father is this, To visit the fatherless and widows in their affliction, and to keep himself unspotted from the world.” James 1:27. “He tests the love of His professed followers by committing to their tender mercies the afflicted and bereaved ones, the poor and the orphan… Every kind act done to them in the name of Jesus, is accepted by Him as if done to Himself, for He identifies His interest with that of suffering humanity, and He has entrusted to His church the grand work of ministering to Jesus by helping and blessing the needy and suffering.” Counsels on Stewardship, 163–164. 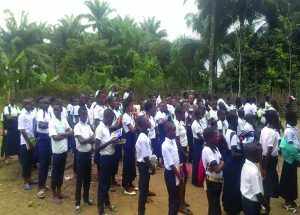 In Mulamba, a remote village in the South Kivu province, 28 orphaned children have experienced hope in place of an uncertain future. By 2013, Mulamba’s population swelled as refugees spilled in, fleeing armed violence. Train Them 2 Fish received resources from board members and locals to provide for the needs of the vulnerable orphans there. Thanks to contributions, 28 children have been sponsored in the last six years. Each child is placed with a host family. For each of the families, Train Them 2 Fish has been providing agricultural training so that they can grow beans, maize and cassava to produce food for greater self-sustainability. For just $35 a month, a child can be sponsored in a rural area such as Mulamba. In the capital city of Kinshasa, cost is a little higher at $42. Their sponsorship money covers school fees, the cost of a school uniform, books, meals and primary health care. There are over 4 million orphaned children in the Democratic Republic of Congo. Providing homes and care for 28 orphans feels like a drop in the ocean, but we hope to make an impact one life at a time. With God’s blessing and support, we would like to sponsor more orphaned children, not only in the village of Mulamba, but in the Kasai region and western Congo as well. We would like to see 200 orphaned children provided for this year, that they may have a chance to experience a new life, and ultimately life eternal. Pray for Pastor Ongasa as he seeks to minister to the needs of the unfortunate. A pastor gives his motorcycle money to God’s cause. 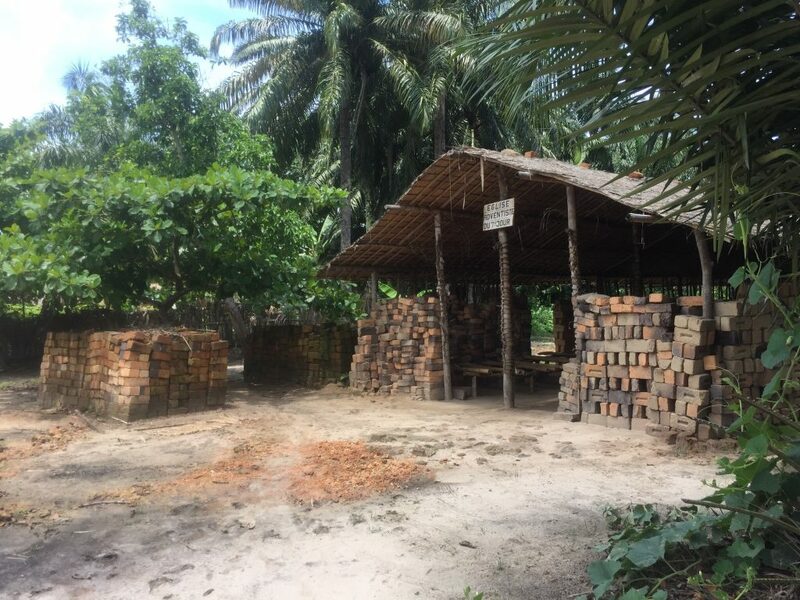 In Part 1 of this story, printed last quarter, Pastor Kodo gave the $200 he had managed to save for a motorcycle so that a poor congregation could buy new roofing materials. A smile wreathed Pastor Kodo’s face as he spoke with a pleasant, confident gaze. I had difficulty containing my excitement as I listened. Wherever he travels, Pastor Kodo told us, he teaches his church members to cultivate the ground and earn a living for their families. In one congregation, two individuals who took his advice and began growing crops soon had enough money to buy themselves motorcycles. As he told us of it, the smiling man made no mention of the gift of his motorcycle money that had enabled one of his churches to have a new roof. Marveling at the humble pastor’s care for his congregations, I felt sure that our Father would repay him in the Kingdom. Yet I also knew that God was about to reward his unselfishness in a tangible, earthly way. We finished our meal and meandered onto the porch, and in an instant, my husband had disappeared. I knew where he had gone. Already, I could feel myself smiling. Silence reigned for several seconds. Then my husband bounded up the steps, key in hand. “For you,” he said. Still looking overwhelmed, Pastor Kodo approached the new motorcycle, gazing at its smooth seat and shiny red paint. I smiled to think of what it meant for him: No more moto-taxi rides for pay. No more long miles peddling his bicycle in the hot sun. Heaven had blessed this man for his faithfulness. He could lay down his old bicycle and speed off to continue his work for the Master! 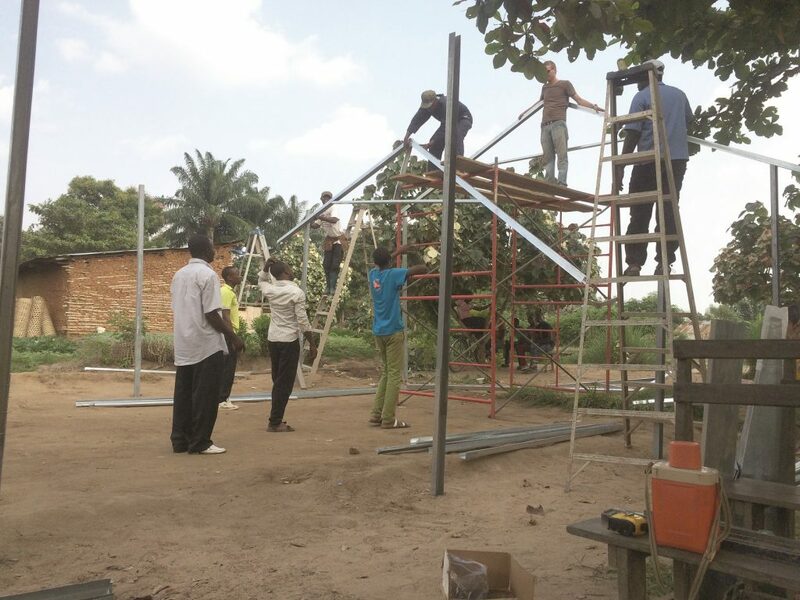 Due to a pastor’s sacrifice, a growing church has a solid roof. Thanks to gifts from across the sea, a pastor will be able to reach more souls for the Kingdom. And because a young lady helped coordinate this blessing, she was given a moment to treasure forever! 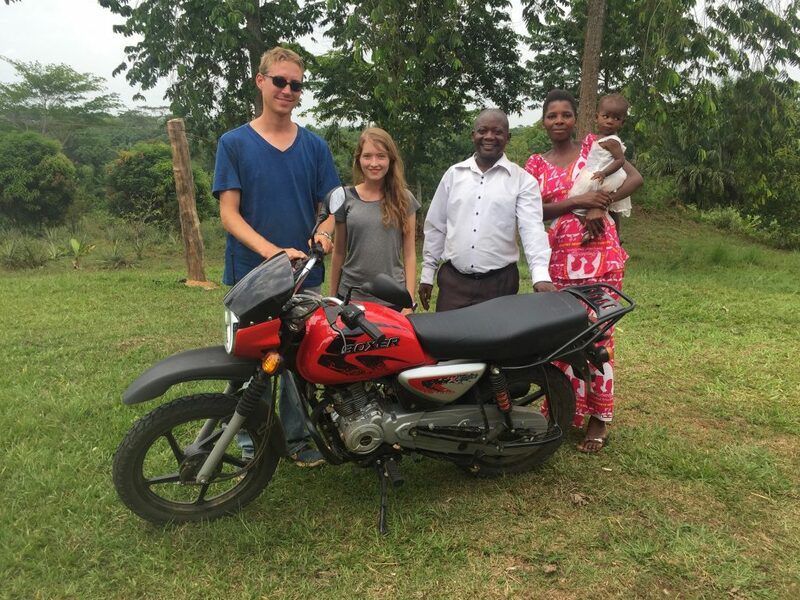 Pray that Pastor Kodo will be able to reach more people with the gospel now that he has a motorcycle. God works a miracle to protect evangelists from harm. The day’s tropical heat cooled as evening shadows drew near. Two men conversed quietly. The meeting tent before them could hold many interested listeners, but only a few locals had intermittently meandered out of the village to hear God’s Word. The evangelism team of Bible workers encouraged each other to press on in spite of an apparent lack of interest from the village. Several days later, they received an invitation to a meal at a home in the village. Every face in the group brightened. “I would love a break from eating cassava and beans every day,” one of the men grinned. While continuing the evangelism effort, they counted down the days to the dinner. Mtenzi straightened as he listened. “We will go anyway,” he spoke calmly. The evangelists were welcomed into the town house warmly, and ushered to sit for the meal. The food was aromatic and steaming in pots on the table. Before taking a bite from the food, the Adventists motioned to the cook politely. “How do we know that there is no poison in the food?” came the question. for a small piece of food, and ate it quickly. The men waited. In minutes, the man who had taken from the dish began to exhibit obvious signs of poisoning. “There is poison in the food, sure enough,” Mtenzi said. “Why did you do this?” he asked the hostess of the house. The men around the table exchanged glances. Recognizing this as a challenge to God’s power, and test of their faith, they claimed the promises of His Word. Every head bowed as their cook began to pray. The men prayed with her in their hearts, asking their Father in Heaven would make the poison of none effect to His greater glory. And then, each faithful man dipped his spoon into the dish, and ate the poisoned food. As news spread around the village that the carefully planned poison could not sicken God’s messengers, people flocked to the evangelistic tent. light. They wanted to hear about the God in heaven who made poison of none effect, and gave His messengers the fearlessness and courage to persevere and pray. The evangelistic series in the bush ended with decisions for Christ and baptisms. Here we see the powerful result of God working through men who took heart, had faith, and believed that even poison could bring souls to the cross. Author: As a child, Abigail Duman dreamed of foreign mission service. As an adult she helped with Congo Frontline Missions. Pray that the believers in Congo will be courageous in spreading truth in the face of an uncertain future. 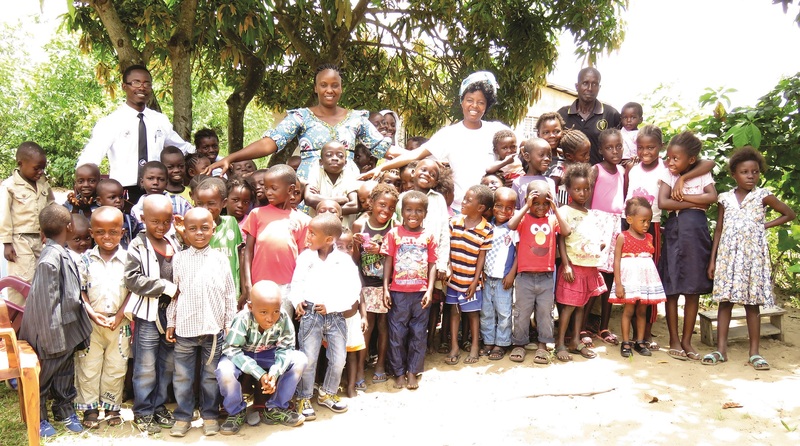 There are over four million orphaned children in the Democratic Republic of Congo. Maternal mortality, unsafe drinking water, malnutrition and many other factors are claiming the lives of tens of thousands of mothers and fathers leaving children to support themselves. 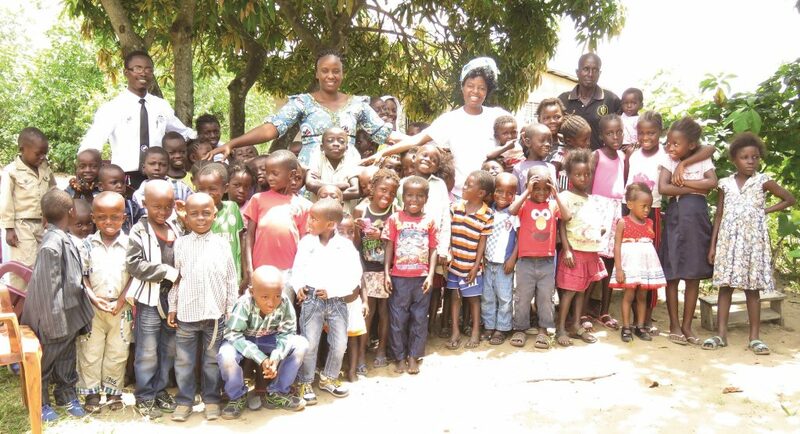 The distressed orphans in DRC need our help. Pastor Ongasa with Train Th em Two Fish is sponsoring 28 orphans, and the number is growing. These orphans need food, shelter, clothing, and school supplies. We would like to appeal to your heart to give to these needy, destitute children who have no mothers and fathers to care for them. “Pure and undefiled religion before God and the Father is this: to visit the fatherless…” James 1:27.